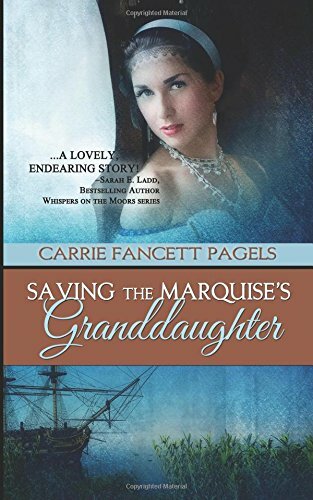 Saving The Marquise’s Granddaughter by Carrie Fancett Pagels is a Christian historical romance set in 1745. The action moves from France to Germany to America. Eighteenth century France was in turmoil. Huguenots were persecuted and killed. Anyone professing that faith had to hide. The novel deals with various different denominations. The most important thing is not your denomination but that you serve God and live a godly life. Faith is a major theme within the novel. Suzanne has her grandmother’s rosary. “Her rituals no longer soothed her.” Faith is not about rituals, it is about relationship with God. Faith is not something you can inherit from your parents. “You need your own faith. This you cannot borrow.” Faith is between you and God. You need to build your own relationship. The novel examines the theme of trust. God can always be trusted. Humans are not so trustworthy. They may have ulterior motives. Family is of utmost importance. Family may be flesh and blood but it can be much more than that. Family is people who open up their homes and hearts to others. People who will love and care for you. The novel also deals with searching and loss. “This search to replace what she’d lost was absurd. God had already given her what she needed.” In a time of turmoil, Suzanne is searching to belong. She is searching to replace relationships, not realising that God has already taken care of her needs. The difficult subject of child abuse and racial discrimination is tackled sensitively by Carrie Fancett Pagels. God created us all equal and the most important thing is the state of our hearts. I enjoyed Saving The Marquise’s Granddaughter. It is the perfect read for a warm Summer’s afternoon read in the garden. Julia, You always make me CRY with your reviews because you always “Get” my heart and what I am after on a spiritual and philosophical level!!! A masterful review! God bless you!!! Thanks for having me on your blog!!! Wow what a wonderful heartfelt review! Thanks, Marsha! I hope you’ll enjoy the novel! The cover alone would entice me to read this story, but the description is quite interesting. I love learning history through a story. Thanks, Rebecca! I was really blessed to get such a beautiful cover! I hope you’ll enjoy the story! Blessings! Julia, I love your very sensitive analysis of Carrie’s book. Thank you for sharing. Congratulations Carrie! I love this book! Thanks so much, Tina! I am so glad you love Saving the Marquise’s Granddaughter! Wow. Now I’ve really got to finish what I’m reading,visor I’ll be ready. I had already preordered it my impatience grows. Loved the review, now I can’t wait to read the book! I hope you’ll love this book of my heart, Janet! Blessings! Loved the review. I love Carrie’s books. I don’t get denominationalism. It is so not what God wanted. Man seeks to complicate things through in Christianity by devices such as this. I am just a simple Christian who is born again. I don’t follow any denomination or non-denomination. Those who hold fast to the Truth are simply the body of Christ. There is no scripture that says anything about joining a a local church. Long as they preach the Truth that is what counts. This the fellowship one should have when going to a church building.